Where can you visit classrooms from more than two dozen countries in the span of less than 30 minutes? 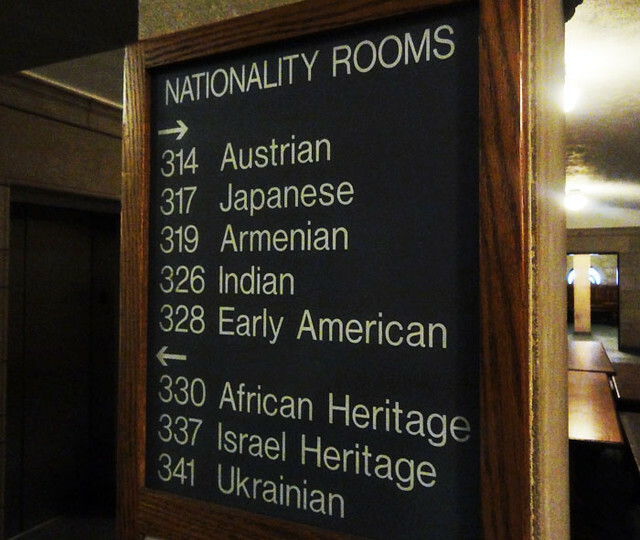 Check out the Nationality Rooms at the University of Pittsburgh to find rooms dedicated to France, England, Africa, Israel, Germany, Greece, India, Russia, Turkey and many other faraway lands. 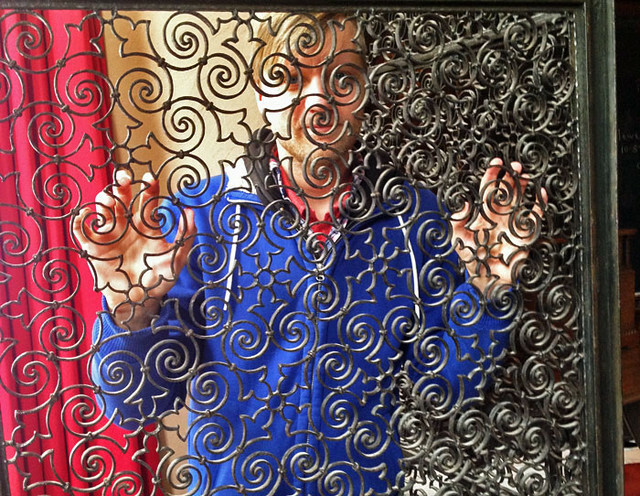 One of Pittsburgh’s coolest and most underrated attractions, the Nationality Rooms can be found on the first and third floors of the Cathedral of Learning, a 42-story tower that is the second-tallest classroom building in the world, behind a structure at Moscow State University. 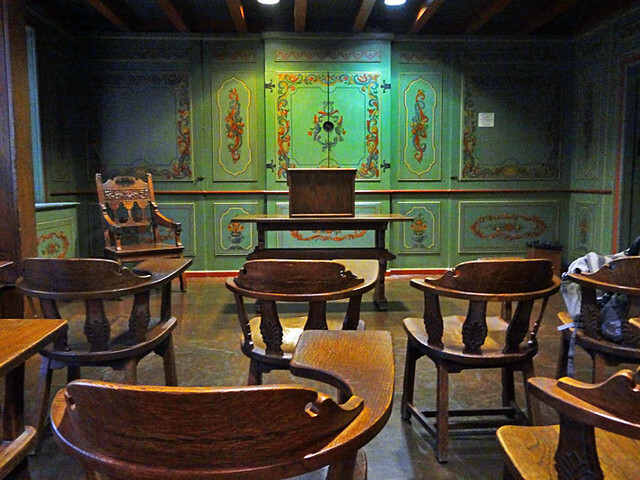 Each nationality room is modeled after a typical classroom or meeting place from the original country. Actual classes at the university take place daily in almost all of these rooms. 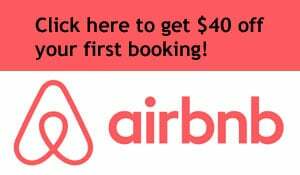 You can stop in and view the rooms for free, provided there’s not a class going on at the time. Construction on the nationality rooms began back in 1938 and continues to this day, with a number of new rooms still in the works. I was able to visit most of the 29 rooms, aside from a few that were in use. 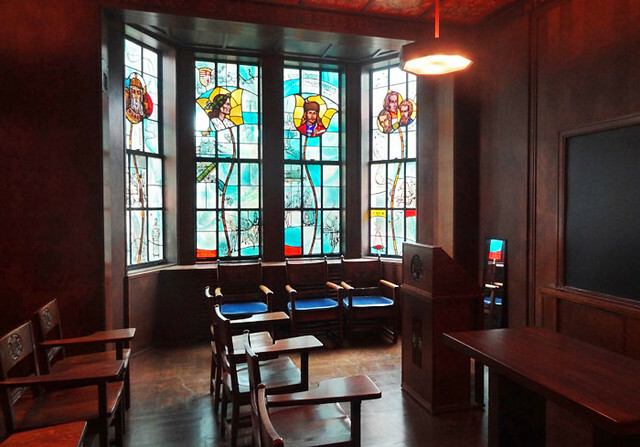 Here’s the Czechoslovak room, which is built to resemble a room from the Charles University of Prague. 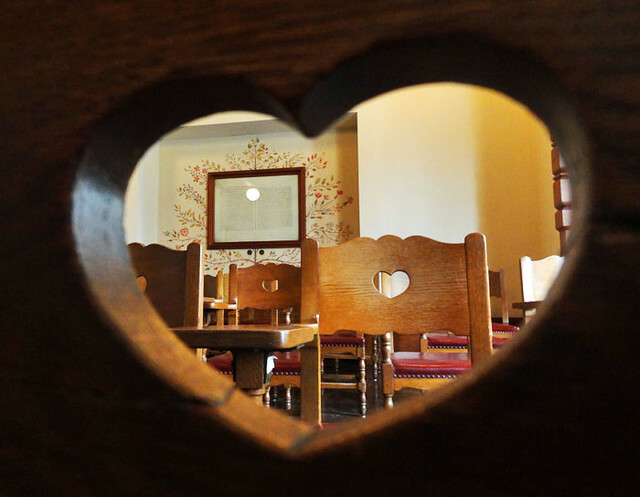 Each desk has a heart-shaped hole. 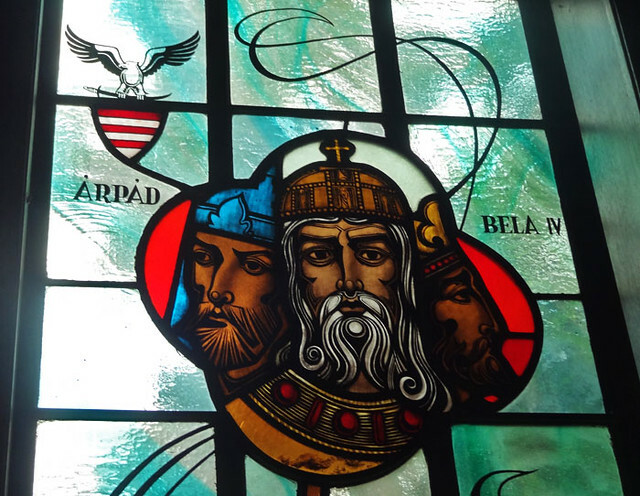 Who knew Czechs were all about love? 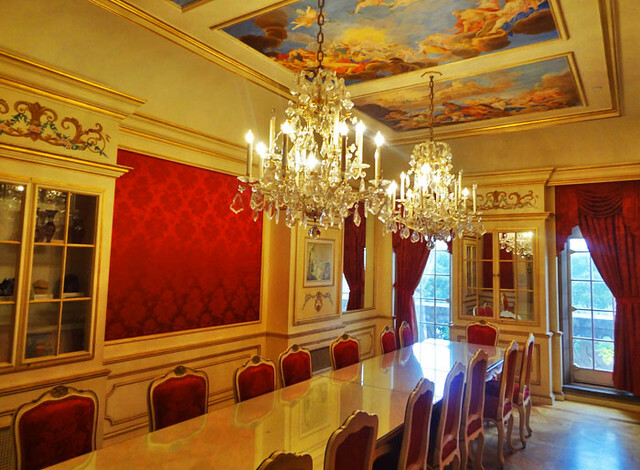 I present to you the gorgeous Austrian room. 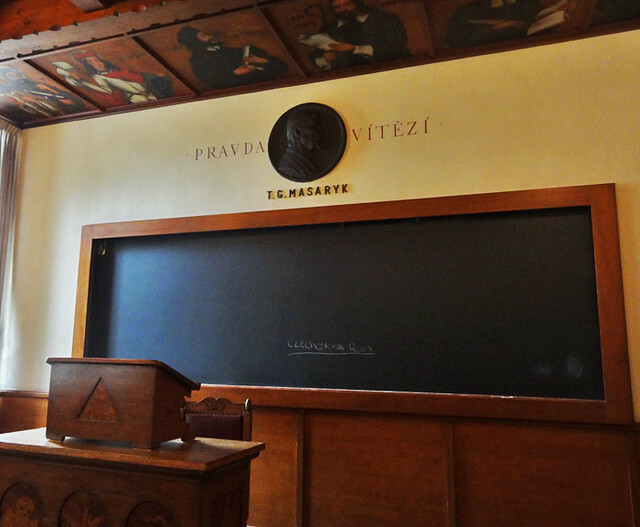 Now this is a room I’d love to have class in. 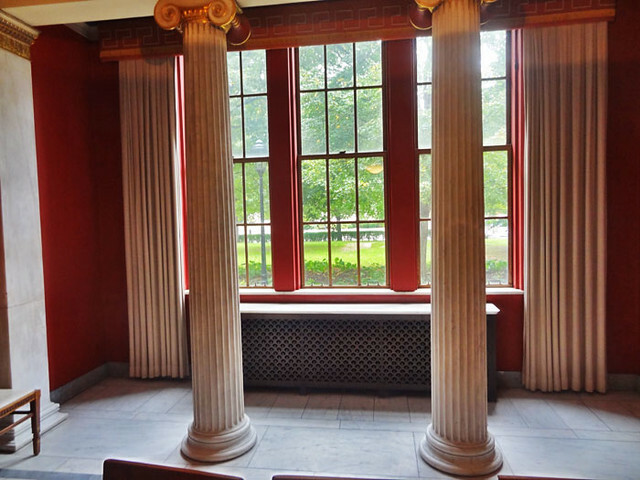 Take a wild guess which room features marble columns and a design from the 5th century B.C.? That would be the Greek room, of course. The ceiling has sunken panels and the backs of the chairs are inscribed with the names of Greek towns. 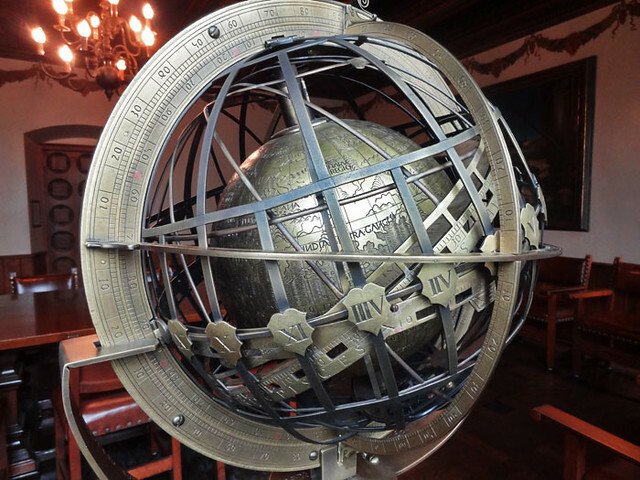 The most impressive globe I’ve ever seen, in the Polish room. 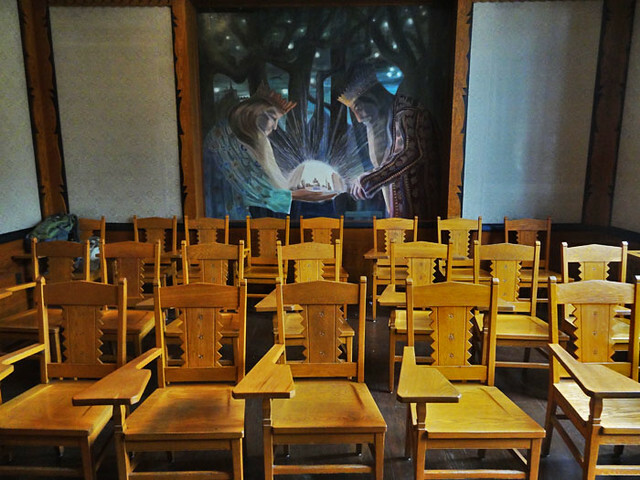 The French classroom contains royal blue chairs and artwork on the wall. 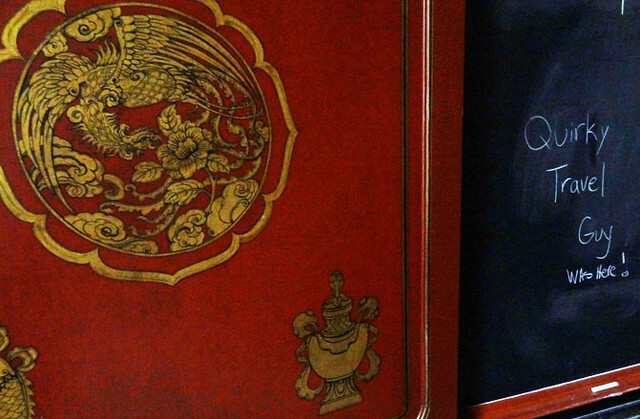 The professor’s chair is supposedly a replica of one found in the Louvre. 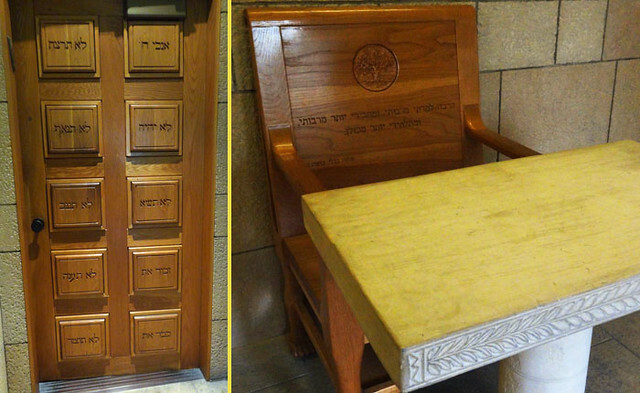 See the Ten Commandments in Hebrew on the oak door of the Israel Heritage classroom. Some of the rooms aren’t ideal for large classes. 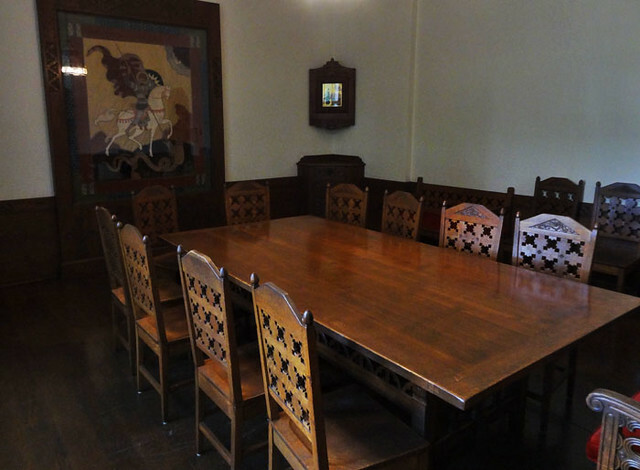 The Russian room, for instance, is just a long table. 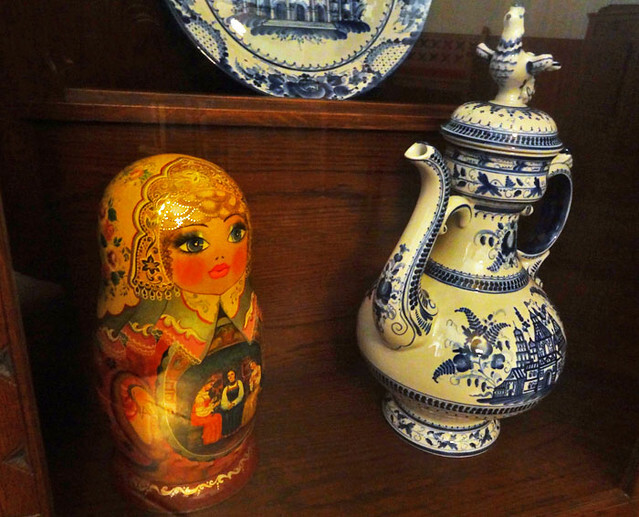 The artifacts in the cabinets are cool, though. 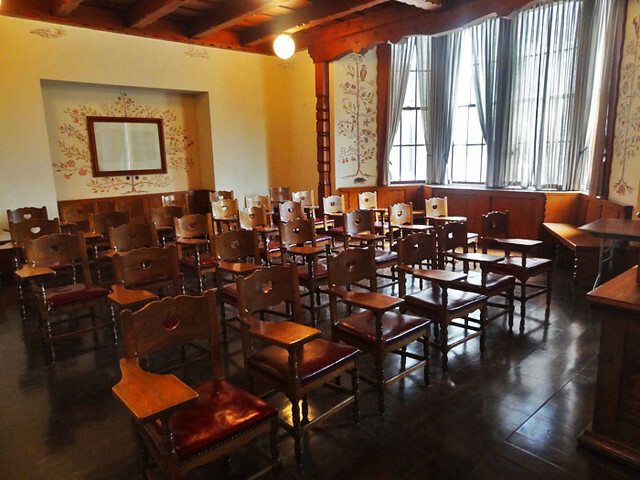 Dedicated in 1989, the African Heritage room resembles an 18th-century Ghana ceremonial courtyard. This is one of my favorite rooms from a visual perspective, although the seats aren’t particularly comfortable. If you have class in this room, bring a cushion. Does this room scream “Sweden!” to you? Me neither. It’s designed to look like a peasant cottage, with paintings on the ceiling and back wall and a brick fireplace. A couple of really unattractive dudes with wild hair reign over the Yugoslav room. 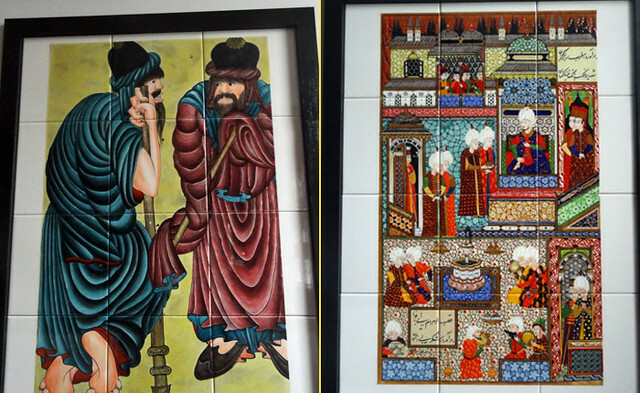 The Turkish room has some eye-popping artwork. 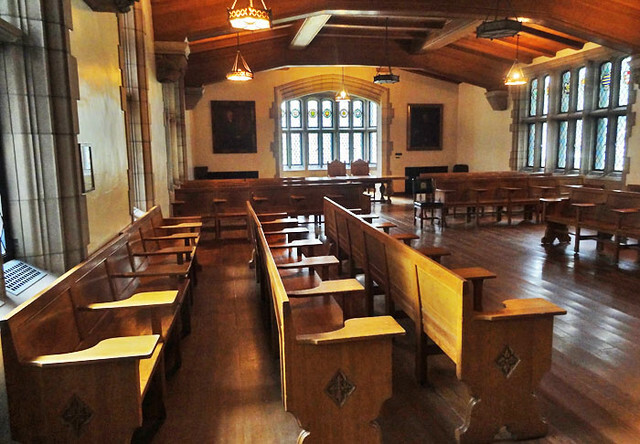 The largest nationality room is the English Room, which is modeled after the British House of Commons and actually has several relics from the original House of Commons that was destroyed in a World War II bombing. 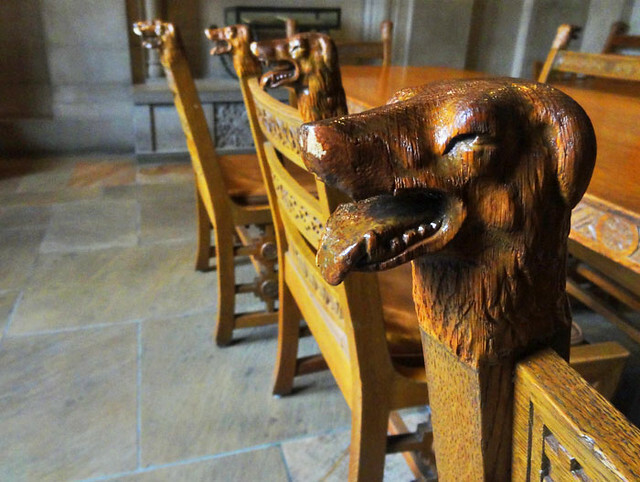 The smallest is the Irish room, which features limestone masonry, arched windows with colored glass scenes from Irish schools, and wolfhound heads on the chairs. 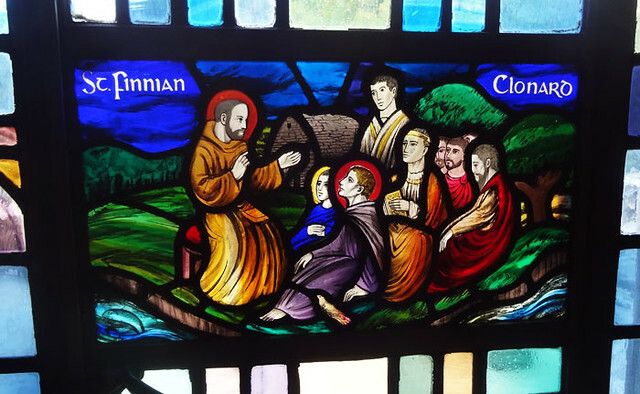 Here’s another room with stained glass windows. 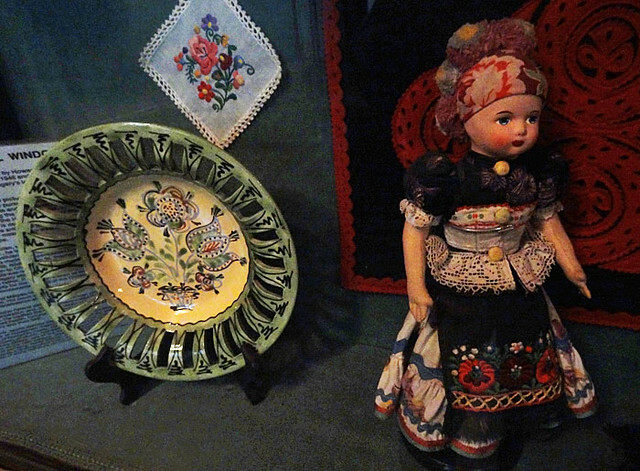 The Hungarian room is small but boasts some cool toys and window designs. The Indian classroom is another room with uncomfortable seats but loads of interesting cultural elements, from the Quran to images of men praying. 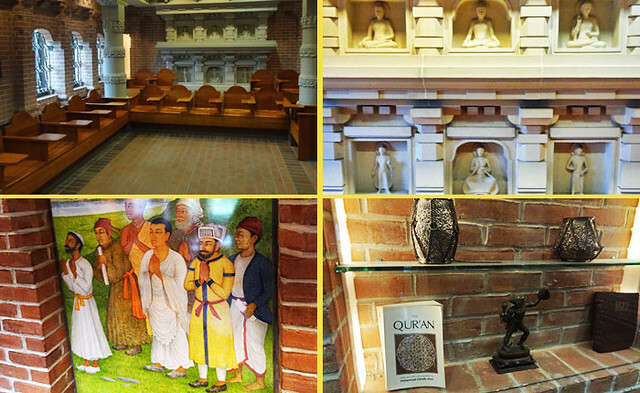 This room is based on a 4th-9th century AD courtyard from Nalanda, a Buddhist monastic university. 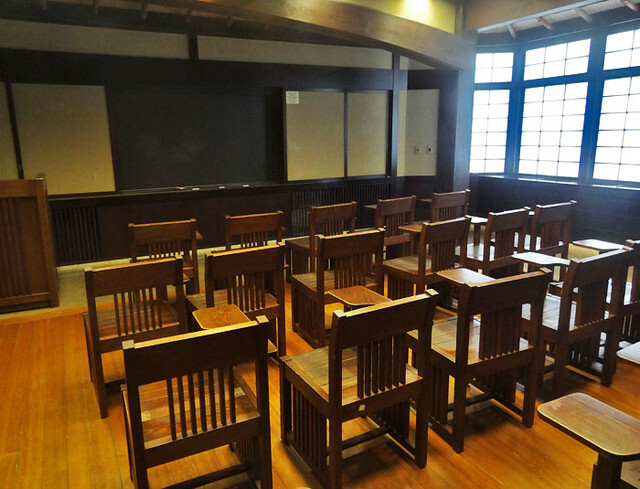 The Japanese room is very zen, with a lot of straight lines, natural light, and simple colors. This room was designed like an 18th-century house of a farmer or small community leader. 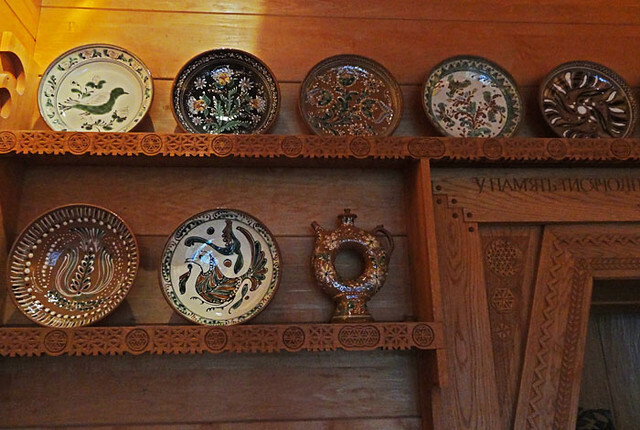 The Ukrainian room has some cool dishes on display. Dim lighting and a weird green color scheme make the Norwegian room a strange place to be. 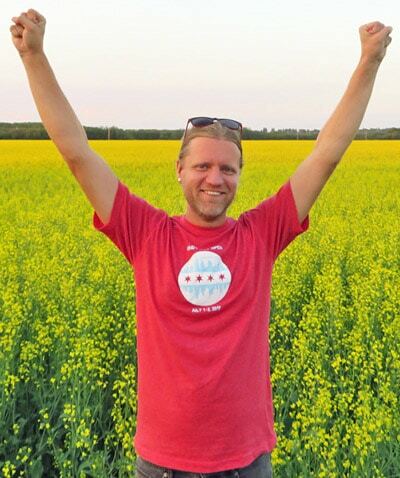 I went to the Lithuanian classroom to celebrate part of my heritage. There’s a whole lot of wood in this room, used because farmers and villagers from the country made their own sturdy furniture out of wood. 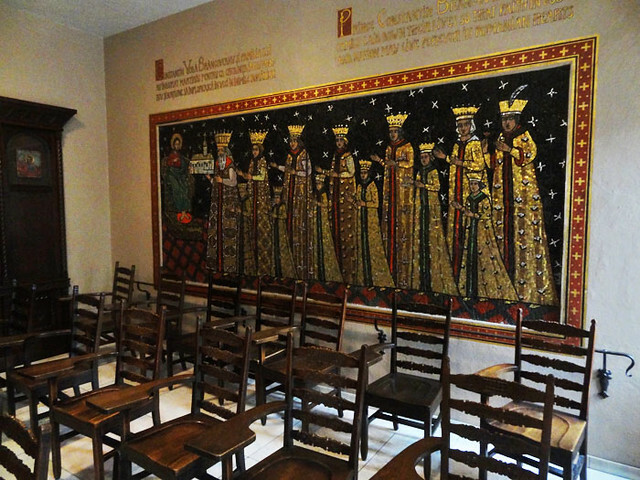 A mosaic of colored glass decorates the back of the Romanian room. The iron gates were made in Romania and brought here specifically for this room, which was designed in Bucharest. 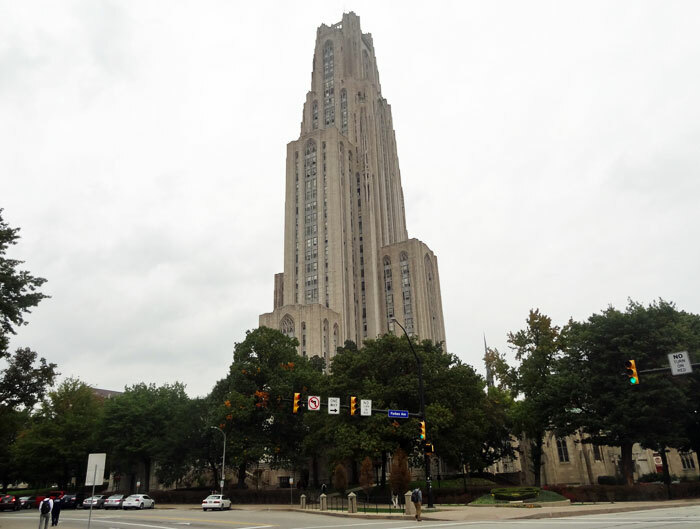 You can find the Cathedral of Learning at the intersection of Forbes Ave. & Bigelow Blvd. in the Oakland neighborhood of Pittsburgh. 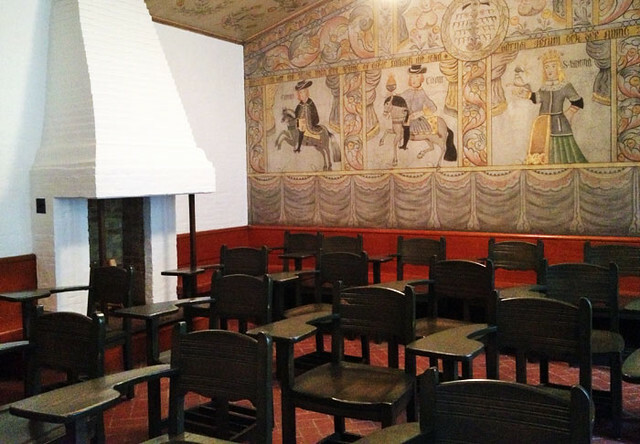 There’s no cost to see the Nationality Rooms, unless you want to take a guided tour, which are offered during the spring and fall semesters for $4 for adults and $2 for kids. 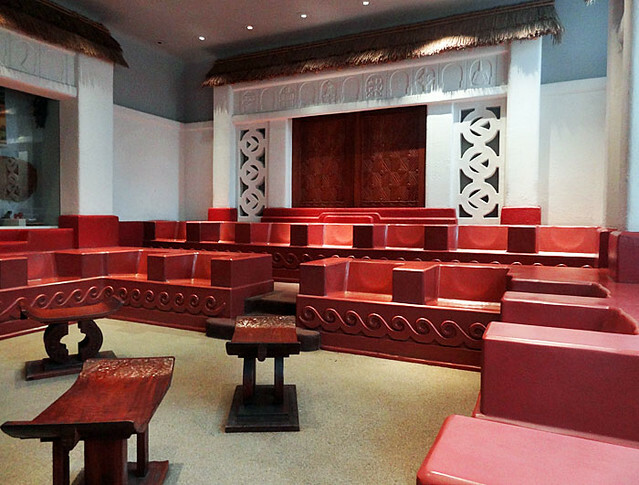 Which nationality room is your favorite? If you’re in Pittsburgh check it out for sure! Wow, I would totally geek out on this. Cathedral of Learning? That’s a very rare and privileged attraction to have in a city. Good on ya, Pittsburgh! It adds a certain extra prestige for students who can say they were educated in that building, too! Amazing place really! 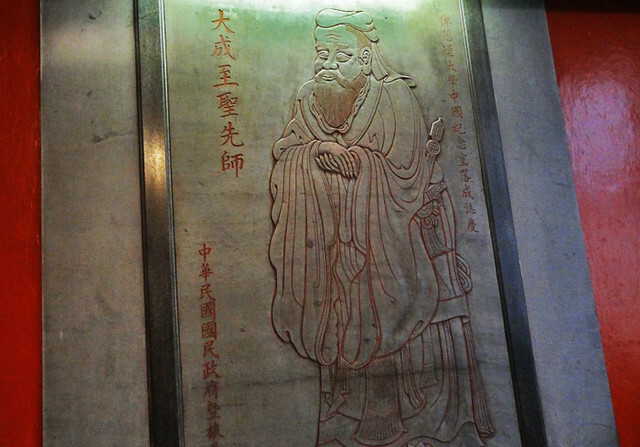 To be there must have been so fascinating, one can learn so much by visiting these rooms! 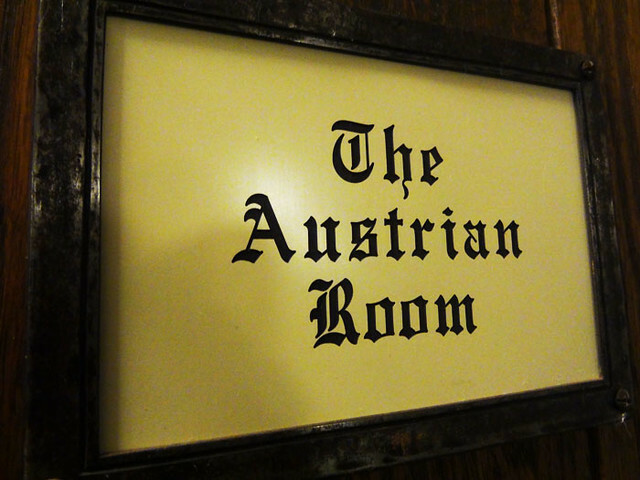 Loved the Austrian room and the heart shaped hole in the desk, how lovely! The heart shaped desk was one of my favorites too. 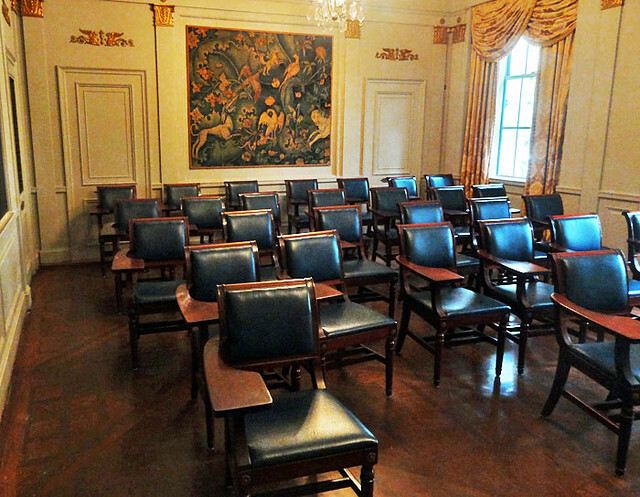 I want to study in this building – though not necessarily in some of these chairs. 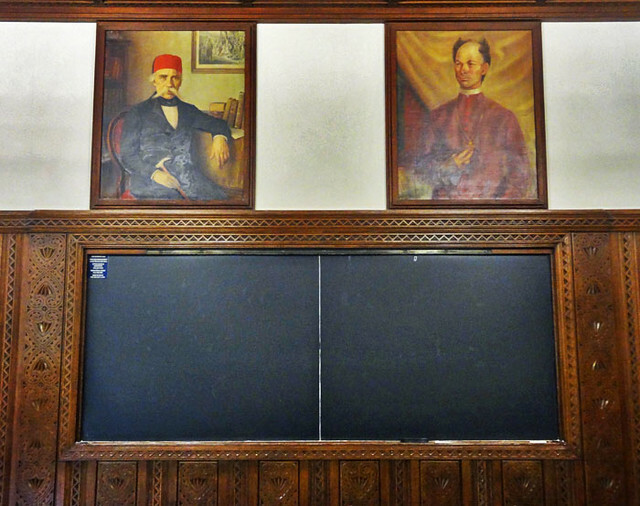 I imagined the Hebrew/Israel room won’t be contemporary, because many university rooms that I know in Israel do not look anything like any of the pictures here. What I find funny, though, is that the 10 commandments in Hebrew are only partially written. For example, you know the commandment that says to respect your parents? That thing only says “respect” – plus a word that indicates you’re supposed to respect someone/something (no direct English translation, sorry), yet it doesn’t specify. Similarly with remembering to respect the Sabbath – by reading what’s written there, all you know is you need to respect someone/something. Maybe they’re testing us? I guess I’m not surprised they would use shorthand on such small spaces to make them fit. I wish I could have posted way more photos of all the rooms because there’s so much culture there. Now, *this* is a cool museum. I’ve never even heard of it. Great find! I heard about it growing up but never gave it a proper visit until recently. Nope. You should see Pittsburgh – it’s worth the drive. That is do cool! I’d be happy as a clam in any of the room! I love stuff like this! I actually wanted to do something similar in my house- I was alloted 1 room- my daughters- its all arctic themed. Id like to another room for her that’s all African safari themed. That’s a really creative idea! I also like when hotels have different-themed rooms. Went to school here and had classes in a number of these rooms. I do remember that a few of them were really nice, but some were pretty darned uncomfortable! Wish it wasn’t so long ago, though, as I can’t remember which ones in particular. Some of these are definitely newer than my time there (I graduated in 1996). How cool that you attended classes here! I have noticed many of the rooms are very new. I hope they keep expanding because there are lots of countries, especially in Latin America, the Middle East and Asia, that are not represented.